Hyde’s promises customer service that exceeds the expectations of Thermal CA residents. Call us now at: (760) 360-2202. We’d love the opportunity to earn your business as we have with your neighbors in Thermal CA. I Performed Maintenance on the Cooling System. Also replaced a 16x25 filter. The system is a 2017 Package Unit located on the ground. Everything else checked out fine at the time of service. Estimate on split heat pump. Installed a new 4 Ton Silver 14 American Standard gas/electric unit. Quoted on dual zone ductless, gave rough quote of $6000 Mike to verify price. Hyde's technician repaired a Bard Cooling system in the Thermal,Ca area. Unit was giving off no heat until Hyde's came and saved the day. Job done complete at Indian Palms. FAU Cond. Unit and Evap Coil. 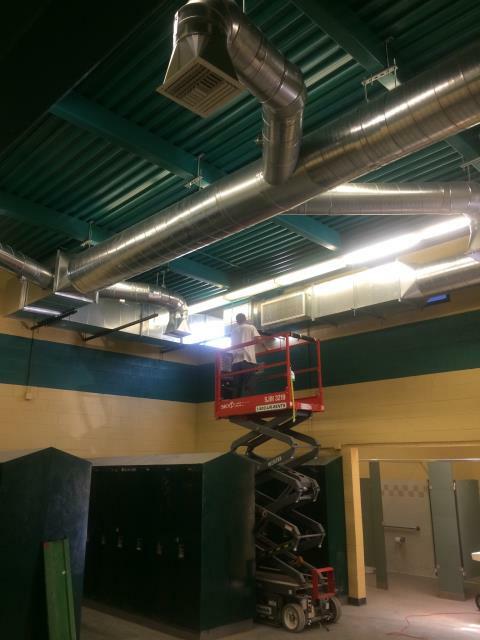 Local team locker room had new duct work and a new American standard air conditioning unit installed.